The Dell XPS 15 came out just a couple months ago, rich with 8th-generation H-series Intel processors, lightning fast SSDs and gorgeous screens. And, now that we’ve had a chance to review it – our time with it has left an extremely positive impression. 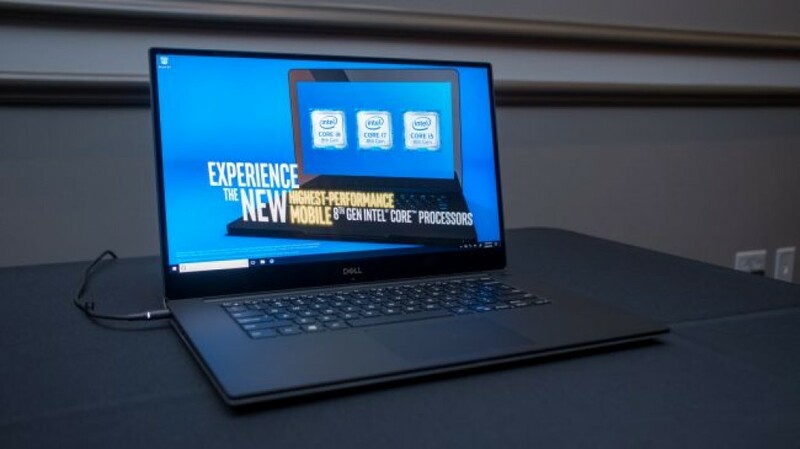 However, with all the rumors swirling around about new processors and graphics cards, we decided it was about time to look towards the future, and figure out what the Dell XPS 15 2019 will look like. Will it feature faster Whiskey Lake processors? Will Dell implement a better cooling solution? We don’t have any concrete information about the Dell XPS 15 2019 yet. However, that doesn’t mean we can’t speculate about what it’ll ultimately look like. So, to help us bide the time until the Dell XPS 15 2019’s inevitable release, we’re going to dive into some speculation, crafting a wishlist of sorts, for what we want to see from the Dell XPS 2019. It’s too early to eke out any solid information about the Dell XPS 15 2019 release date, but we can always look to past releases to try and figure out when we’ll see the next-generation notebook. 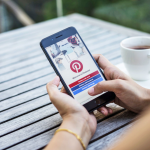 Things could shift a little bit either way, depending on when the next Intel mobile platform makes it to market – and there are all kinds of conflicting rumors on that front. Over the last few years, the Dell XPS 15 has had a bit of an uneven release history. While the Dell XPS 15 2018 came out in May of this year, past XPS 15 models haven’t been totally consistent. In February 2017, we got the Dell XPS 15 2017, but before that, the 2015 model dropped in October. It’s kind of all over the place, and it could mean we have to wait a very long time for the next one. 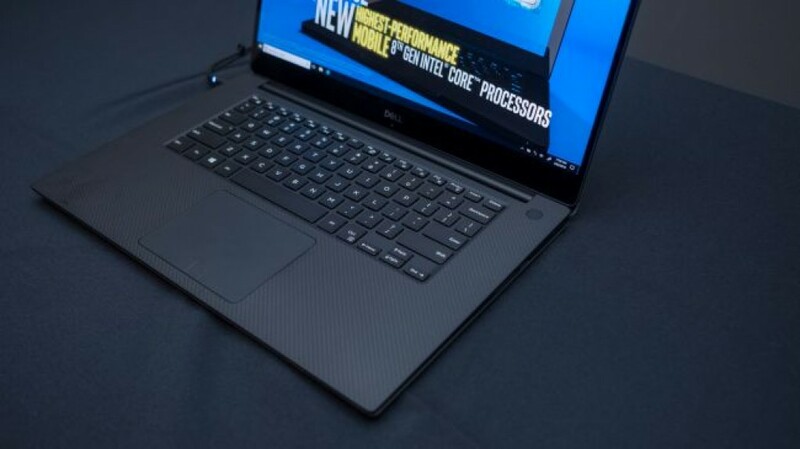 However, we’re sure that if a ton of new hardware comes out, Dell will be close behind with a hardware refresh for the Dell XPS 15. The current XPS 15 starts out at $1,059 (£1,179, AU$1,699) for a quad-core, 8th-generation Intel Core i5 chip, 8GB of RAM and a 1TB 5,400 RPM hard drive. 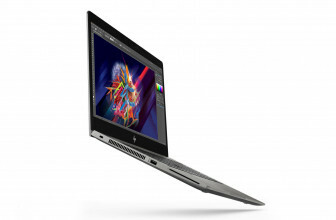 However, you can spec it out for up to $2,959 (£2,279, AU$3,999) for a Core i9, 32GB of RAM and a 1TB SSD. 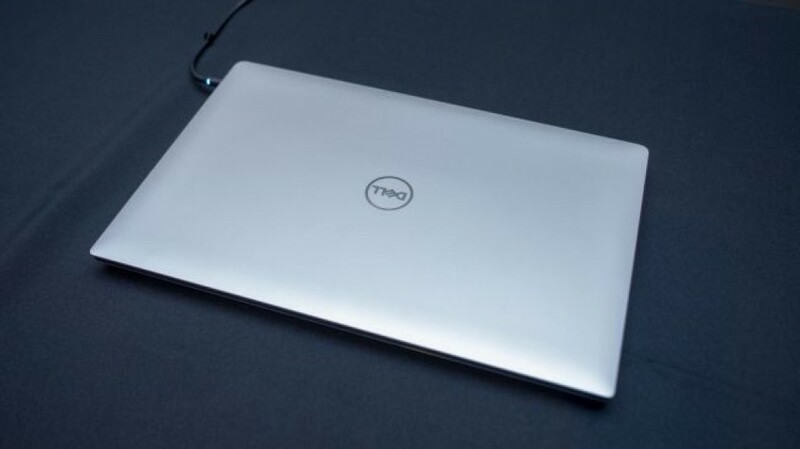 We think Dell is going to continue to follow the same model for the XPS 15 2019 – offer an entry-model laptop for around $1,059 and allow users to turn all the dials up to 11 if they so choose. That being said, we could see Dell raising the price a bit for the entry model, as it has for the last couple years. 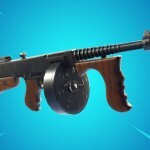 Again, we won’t know what the pricing is going to be until we get closer to launch, so stay tuned. The Dell XPS 15 is already one of the best Ultrabooks you can buy today, but that doesn’t mean it doesn’t have room to improve. So, we went ahead and created a wishlist of things we want to see from the Dell XPS 15 2019, to really elevate it into the laptop stratosphere. The biggest drawback that the Dell XPS 15 has faced for the last few years is the thermal limitations introduced from its increasingly thinner designs. 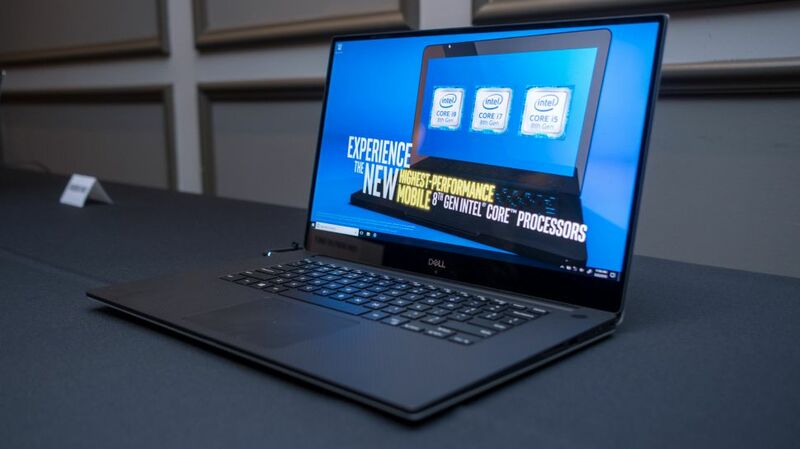 Don’t get us wrong, we love having such a portable notebook with this much horsepower behind it, but if you’re doing a lot of video editing or other workstation-class tasks, the Dell XPS 15 2018 likely won’t last very long. Because Dell is asking for so much cash at the high-end for the Dell XPS 15, we would love to see a more effective cooling design. If it comes at the cost of keeping the same thinness year over year, we can definitely live with that – it’s already easy to carry around, we just don’t want thermal throttle anymore. For a 15-inch laptop, the 2018 Dell XPS 15 is a little light on port selection. It’s more robust than the MacBook Pro, as it actually features USB Type-A and an SD card reader. But, for a laptop with this spec and size, we’d love to see some Ethernet and maybe even a DisplayPort. We know, we’re entering the age of the dongle – we would just like to see a bit more flexibility out of such a premium device. At this point, it kind of feels like we’re beating a dead horse, but that webcam has got to move. Nobody who uses their webcam on a regular basis for video conferencing, or even the occasional hangout with friends, is going to appreciate a webcam that perpetually gazes up their noses. It’s not an ideal situation for either end of the conversation, and it even makes Windows Hello kind of a pain. Please, Dell. 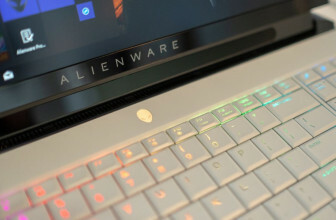 We know you are all about that bezel-less design, but other laptop manufacturers have figured out a way to move their webcams to the top of the display with thin bezels. We have faith in you. We know that we just talked about Dell’s thermal solution, but we still want more power. This might be hypocritical, but with Whiskey Lake, Coffee Lake Refresh and Cannon Lake rumored to be around the corner, we’re hungry for stronger performance. 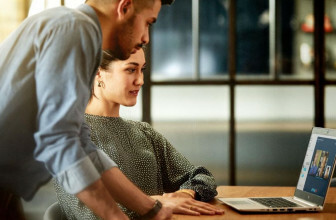 If there’s a way that Dell can find a middle ground – include a beefier processor while creating a more robust cooling solution, we’d be very happy. That’s not to mention graphics. Nvidia just launched its GeForce RTX lineup, and we suspect that mobile RTX chips will start to make their way to market by the end of the year, which should improve graphics performance drastically. Still, this is all just wishful thinking, so be sure to keep it locked to this page, as we’ll update it with new information as it comes in.